Ralph McQuarrie is the most iconic artist in the history of Star Wars. He worked hand-in-hand with George Lucas to help establish the saga's visual aesthetic, its inimitable look and feel. Beyond designing Darth Vader, C-3PO, and R2-D2, McQuarrie produced hundreds of pieces of Star Wars artwork, including conceptual paintings, costume designs, storyboards, and matte paintings, as well as posters, book covers, and album covers-even Lucasfilm's annual Christmas cards-all rescanned and rephotographed for this book. In Star Wars Art: Ralph McQuarrie, readers will find the most definitive collection of the artist's Star Wars work ever assembled, including hundreds of never-before-seen illustrations. 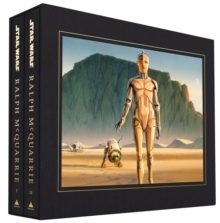 Rare unpublished interviews, as well as recollections from McQuarrie's colleagues and friends, complement and contextualise the art. 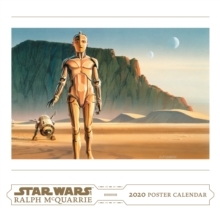 Star Wars Art: Ralph McQuarrie is a comprehensive tribute to cinema's most beloved and influential concept artist.